This graphic was originally published by Sohu Business and is translated and republished here with permission. It was adapted for ChinaFile by David M. Barreda. 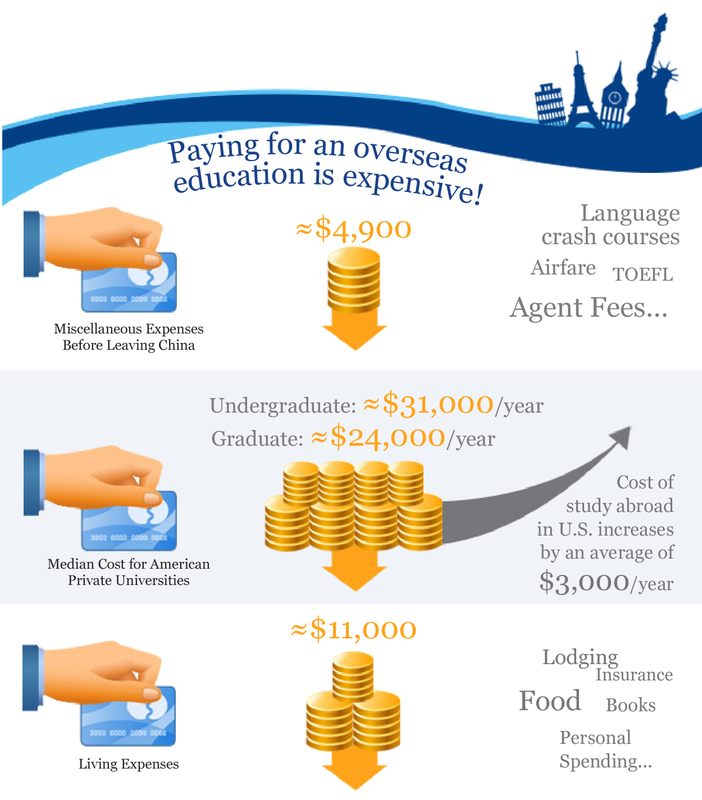 Editor's note: Last year our partner publication, Sohu Business, published a graphic on the dramatic increase in Chinese students studying abroad and the costs involved. We have translated, updated, and adapted it. 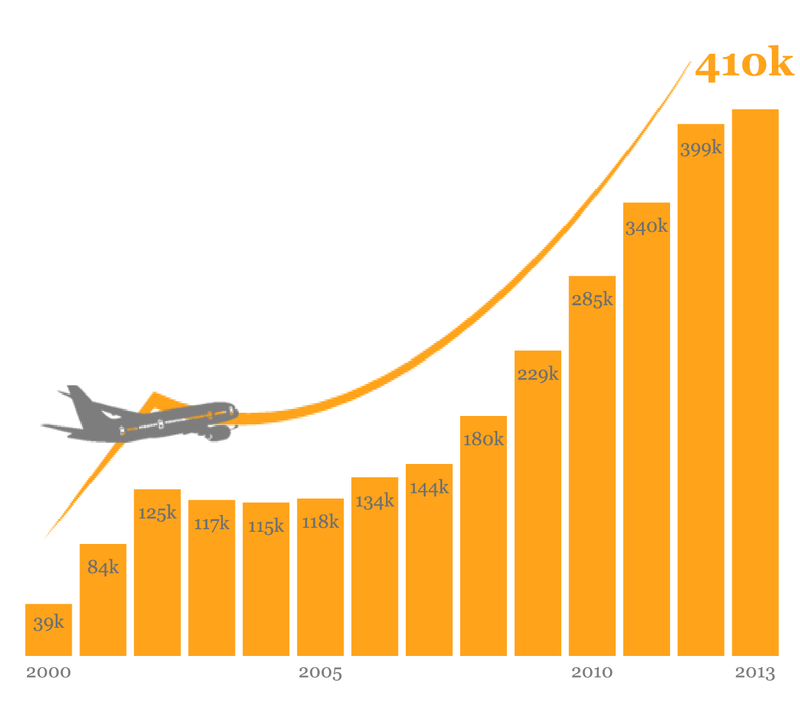 Between 2000 and 2013, the number of Chinese students studying abroad increased by 1,000%. 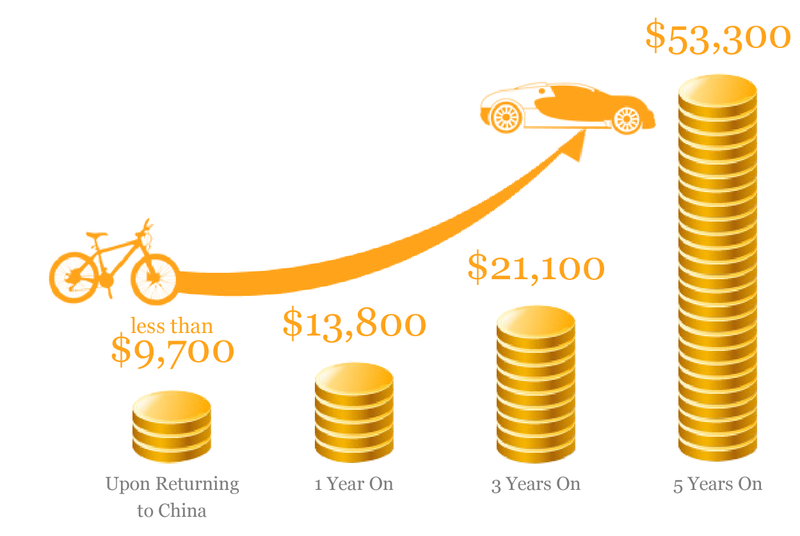 As China’s standard of living rises, more and more students are studying abroad on their own dime. Apart from long-term residence, the other reasons involve increasing human capital and improving one’s job prospects. 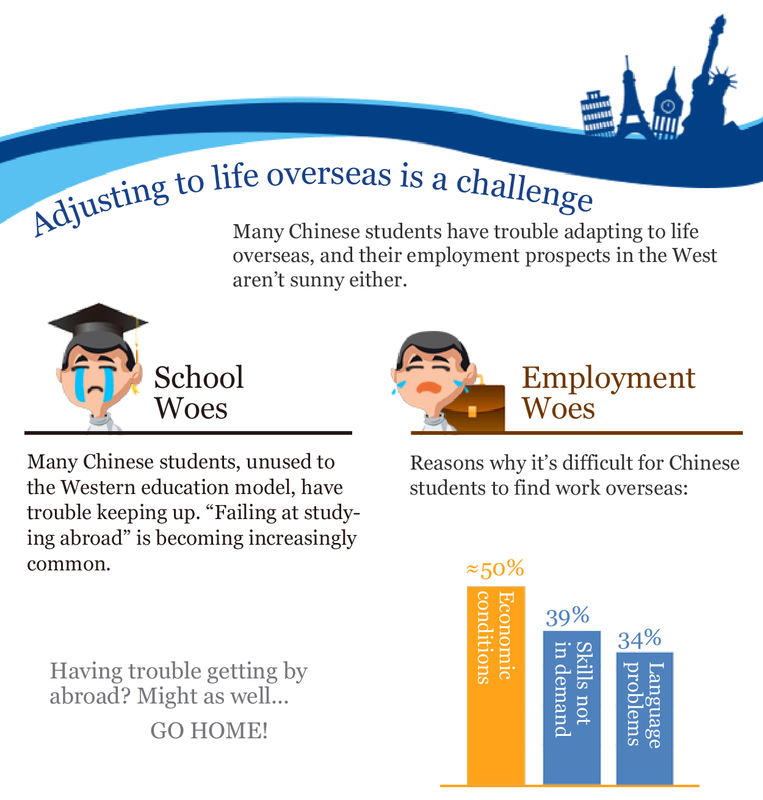 In China’s brutally competitive job market, both parents and children believe that studying abroad confers an advantage. But is this true? 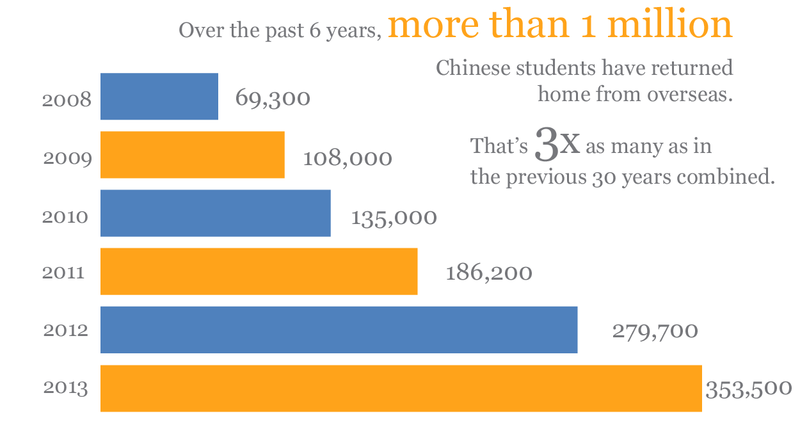 Chinese students are going home in droves, and 2013 saw more foreign-study students return to China than ever before. But this year 7 million Chinese graduated from university, the largest graduate cohort to date, making this the “toughest job market in history.” When the largest reverse migration meets the toughest job market in history, who wins? Who gets the short end of the stick? 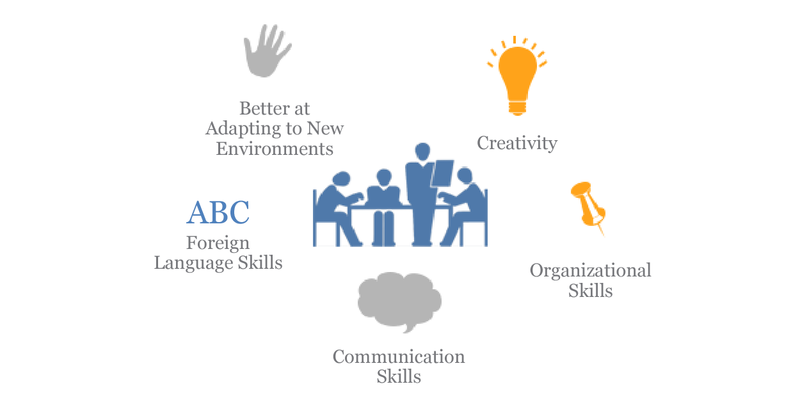 According to the HR department of one major corporation, Chinese students educated in the West have superior foreign language skills, and the experience of fending for themselves in a foreign country, combined with the influence of the Western education system, makes them better planners and innovators. For these reasons, HR departments prefer applicants with foreign diplomas, and returnees are more likely to get promoted to managerial positions. 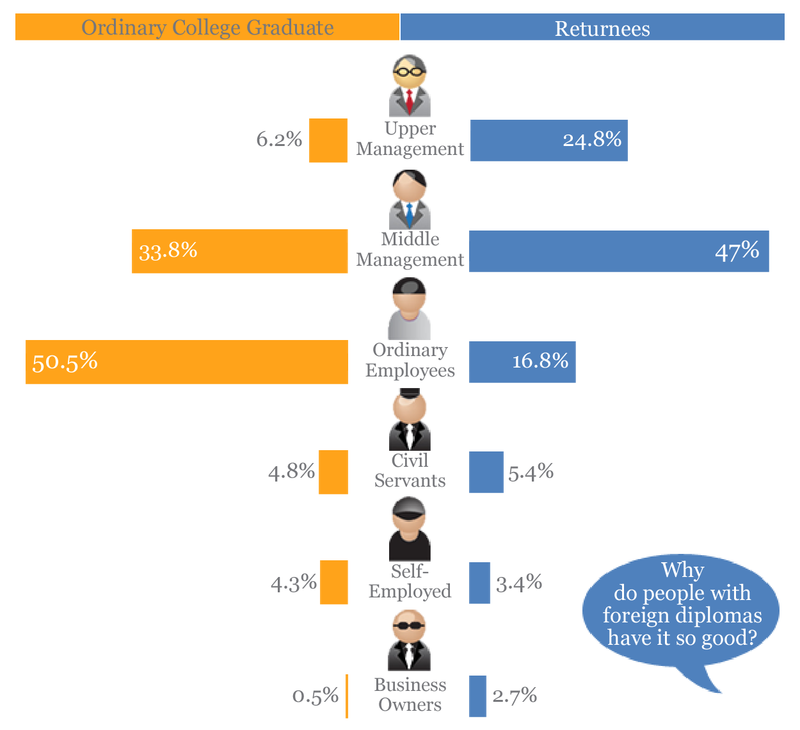 Source: "2013 Survey Report on Overseas Returnees’ Competitiveness in the Job Market"
That businesses like to fill their managerial ranks with employees who have foreign diplomas is a symptom of a broader obsession with education credentials. 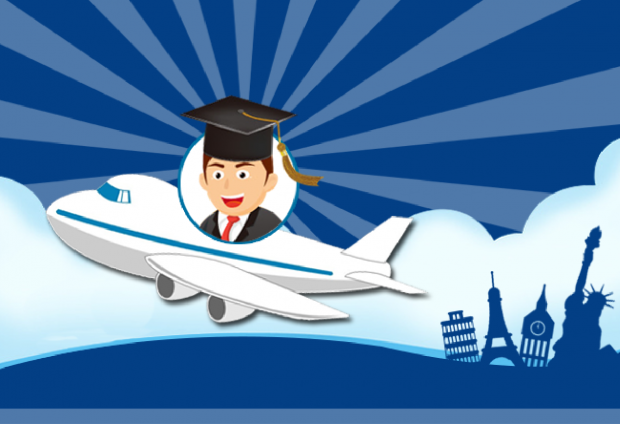 The higher the level of education achieved, the more impressive the applicant seems, and companies view foreign diplomas particularly favorably. So even if a returnee doesn’t get a very high salary at her first job, her long-term prospects are much better. 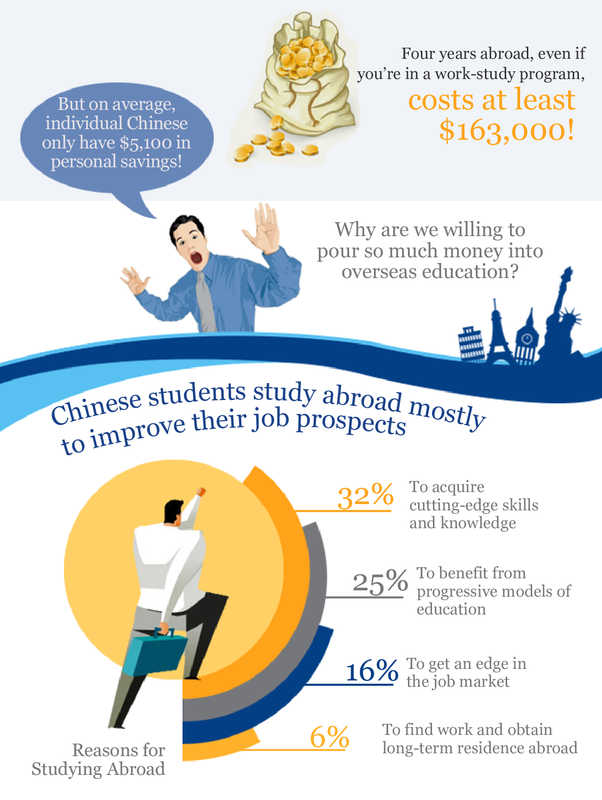 According to one survey, though the starting salaries of overseas returnees aren’t any higher than those of ordinary Chinese college graduates, as they get more work experience the difference in pay becomes conspicuous.